Reason over Rhetoric | Thoughts On Catholic Apologetics In The Modern World…and other fun stuff! Catholic Answer Press is going to release Gary Michuta’s new book, Hostile Witnesses: How the Ancient Enemies of the Church Prove Christianity. Quick! Name the first Old Testament book that comes to mind. Isaiah? Psalms? Genesis? I can almost guarantee Esther wasn’t among the first. Why not? Well, probably because it’s smaller or it might seem less interesting than the others. But don’t let its size fool you. The book of Esther, like its heroine, is a fighter, and in this installment of “Behind the Bible,” we are going to look at this little book’s rocky journey to join the canon of Scripture. The book of Esther tells the story of the Jews who remained in exile after the Babylonian captivity had ended. Esther had become queen, and a high official named Haman was demanding that his subjects bow down to him in homage. A righteous man named Mordecai refused to bow down, and caught wind of Haman’s plot to kill all the Jews in the Kingdom. Mordecai appealed to Esther to intercede with the king on behalf of the Jewish people. Because Esther did so, the king turned against Haman, executing him on the same gallows on which he planned to execute the Jews. Just like its heroine, the book of Esther had to overcome formidable opposition as well. Our story begins with the book itself. There are two versions of Esther: a longer and a shorter version. 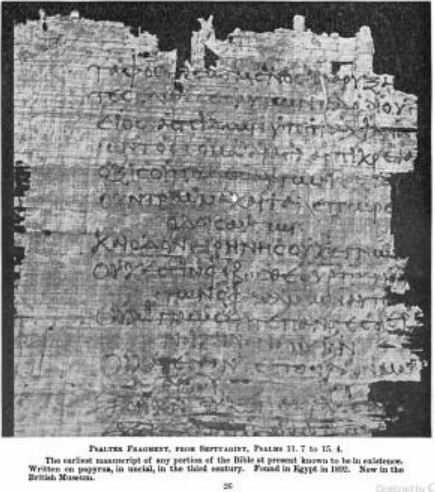 The longer version contains six sections (A-F) in Greek that include prayers, acts of piety, a letter, and other details. The shorter Hebrew version excludes these sections, reducing the story of Esther to almost a secular account. Indeed, the shorter Hebrew version of Esther never even mentions the name of God! The earliest Christians and the Church have always accepted the longer version of Esther. In fact, one of the earliest non-biblical Christian writings we possess, 1 Clement, written at the end of the first century or the beginning of the second, commends Esther to its readers, speaking of her fasting and prayer, which is only found in the longer version (1 Clement 55). Likewise, around the same time, the Jewish historian Josephus also used the longer version of Esther in his book “Antiquities of the Jews” (Antiquities 11, 6). Troubles for the book of Esther started sometime between A.D. 100-135, when the Rabbinical Bible was formed. By adopting a single Hebrew text as their biblical norm, the rabbis naturally opted for the shorter Hebrew version of Esther. But we know this inclusion was not without opposition. Some rabbis continued to dispute Esther’s sacred status. In fact, several early Church fathers composed lists of the book of the Old Testament accepted in rabbinical Judaism, and some of these lists either omit Esther or note that it was disputed. It wasn’t until the late fourth century that Esther seems to be universally accepted in Judaism. Ironically, it’s also around this time that troubles began brewing in the Church. Pope Damasus I commissioned St. Jerome to make a fresh Latin translation of the Bible. But Jerome decided to translate the Old Testament not from the Greek Septuagint, as others have done, but from the same Hebrew text the rabbis adopted in the second century A.D. And as you may have guessed, he had a problem with Esther. Incorrectly believing this Hebrew text was identical to the inspired original, Jerome rejected the Greek sections of Esther as “Apocrypha” — that is, non-inspired additions. The Church reaffirmed the historic Christian canon against Jerome, but Esther’s troubles didn’t end there. In the 1600s, when Protestants rejected certain Catholic doctrines as unbiblical, Catholics responded by appealing to Scripture, which included the Deuterocanon (i.e., Tobit, Judith, Baruch, Wisdom, Sirach, 1 and 2 Maccabees, and the longer versions of Esther and Daniel). Protestants in turn appealed to St. Jerome, and accepted only the books found in the Rabbinical Bible. As a result, Protestant Bibles today use the shorter, more secular, version of Esther rather than the longer version used by the Church. Which only goes to show that even the most humble and inconspicuous books contain fascinating stories when you look Behind the Bible. Which Old Testament Did Jesus use anyway? During a radio interview, someone called in and asked me for a recommendation on a good English translation of the Hebrew Old Testament. The caller said she wanted to go back to the ancient roots of her faith and thought reading the Hebrew text was the way to go. My answer probably surprised her. I told her that if she wanted to get back to the “old-time religion,” she should use the Scripture that Jesus, St. Paul, and the writers of the New Testament most commonly used, but it wasn’t Hebrew. It was Greek. Greek? Wasn’t the Old Testament for the most part originally written in Hebrew? Didn’t the New Testament rely on the Hebrew Old Testament? To answer this, we need to take a closer look at what’s going on behind the Bible. There were a number of different Old Testament texts in circulation in the first century. Some were written in Hebrew, while others were translations of the Hebrew into Aramaic and Greek. The one text that the writers of the New Testament appear to have favored more than the others is a Greek translation known as the Septuagint. The Septuagint got its rather odd name from a story found in the Letter of Aristeas that relates how 70 (perhaps 72) Jewish scribes were commissioned to translate the Old Testament into Greek during the reign of Ptolemy II Philadelphus (309–246 B.C.). According to the story, these 70 scribes worked separately on their translations, yet they miraculously translated the exact same thing, word for word. Hence, it is called the Seventy, which in Latin is Septuagint (or LXX for short). Although the New Testament used texts other than the Septuagint, it certainly quotes from it more than the others. In fact, the Septuagint makes up about two-thirds of the approximately 300 Old Testament quotations made in the New Testament. Some of these quotations are quite important. Perhaps the most famous New Testament quotations from the Septuagint is found in Matthew 1:22-23, where it says of Christ’s birth, “All this took place to fulfill what the Lord had said through the prophet: ‘Behold, the virgin shall be with child and bear a son, and they shall name him Emmanuel,’ which means ‘God is with us’” (Isaiah 7:14 LXX). What’s significant about this quotation is that the Hebrew text that has come down to us gives a rather general word, usually translated “young maiden,” instead of the Septuagint’s “virgin.” Of course, young maidens can be virgins (as normally would be the case), but the word doesn’t have that specific of a meaning. This difference, I believe, highlights the real value of the Greek Septuagint for understanding the New Testament and first century Judaism. What’s amazing about the Septuagint is that it can function as a snapshot of how the Jews understood the Hebrew text hundreds of years before the time of Christ. Remember, the Septuagint was translated some time before the late second century B.C. When the translators came across Isaiah 7:14, which Matthew quoted above, they translated the word as “virgin” showing that in their day the “young maiden” of Isaiah 7:14 was understood to be a virgin. Matthew, therefore, understood that Mary’s virgin birth of Jesus was the fulfillment of Isaiah 7:14, as it was understood in pre-Christian Judaism. Much later, around the middle of the second Christian century, when rabbinical Judaism adopted a Hebrew text to be their norm, they rejected the Septuagint. But Christians continued to use what they’ve always used, the Greek Septuagint. So if you’d like to get back to that “old time religion,” you’d do what Jesus, the Apostles, the New Testament writers and the early Church did; you’d go to the Septuagint. We are in the midst of our “$40 for 40” campaign. We would like to build a base of 5000 supporters…500 in the month of August. I would like to ask you to do two things. First, will you go to www.the40film.com and become a supporter? (if you haven’t seen the trailer, please watch it). Secondly, can you help by sending this request to all your friends on FB and your email addresses. Could you personally ask 5- 9 other people to support the film? We expect to release the film at the end of September, but we must raise the funds to finish! Thank you for helping with this most exciting and heart-changing project! The feedback from those who have read the book has been very encouraging and very positive. It seems people like the format. The text of the book is easy to read (Schoeman says it reads like a detective story) and the nuts-and-bolts scholarly stuff is in the footnotes. My website has the blurbs of the book and a very detailed table of contents so that you’ll know which topics are addressed. See www.HandsOnApologetics.com for the details. Don’t get caught behind the curve on the canon. Put your pre-publication order in today and be among the first to receive this potential apologetic blockbuster as soon as it comes off the press. It’s been a while since I’ve posted and so much has happened since then. For example, there is the pop science press blitz that the director of the Titanic discovered Jesus’ tomb. Despite the hoopla, you won’t find anyone at the Vatican packing. Why? Most of the information that the “Lost Tomb of Jesus” is putting forward has been known for years and the new additions has done little to bolster its crediblity. Scholars are split on the dating of the ossuaries. The “lost tomb of Jesus” could have been made before Jesus Christ was born! The names on the ossuaries (burial boxes) are not clear. For example, the ossuary that is supposedly Jesus’ is inscribed in Aramaic a notoriously difficult script to decipher. In fact, some scientists believe the name of the ossuary isn’t Jesus but Yunan. The claim that one of the ossuaries is Mary Magdalene’s comes from a reference to Mary Magdalene being called Mariamne in the Gospel of Philip, a gnostic fiction written four hundred years after the time of Christ! All the names found in the tomb (e.g. Jesus, Mary, Matthew, Judah) were the most common names of the time period. The stats given tells us more about trends in the names discovered on ossuaries than whether the remains in these boxes are in fact the same individuals found in the New Testament. If any one of these claims are true, the whole case crumbles. Add to this the fact that the supposed “lost tomb” flatly contradicts the most credible historical sources we have on the life of Jesus (the Gospels), the tomb is from the wrong economic class, and its location isn’t even near the site known to be the place where Jesus was buried. Moreover, it is impossible to belive that Jesus “real life” was unknown to his closest followers and that none of the pagan or Jewish enemies of Christianity bothered to point out that the Gospels were grossly inaccurate. If the “Lost Tomb” is true, these enemies had in their grasp the ultimate incontrovertable proof that the claims of the Christians were false. But they never used it. Why? Because the claims were known to be true and this isn’t the “Lost Tomb” of Jesus. It is not surprising that the press blitz to advertise the Discovery Channel special and the subsequent book has fallen flat. It, like the De Vinci Code, is just another unfounded attempt to cash in by mocking what Christians hold dear. It’s another lenten poke-in-the-eye for Christians. What is truly sad is out uncritically the media had broadcasted James Cameron’s outrageous claims. I believe it was the “Today Show,” if I’m not mistaken, that had Cameron on for a chat. They went on and on the monumental Cameron’s claim was without ever presenting any views to the contrary. It was essentially a long info-mercial. Luckily, the public has more or less seen through the hype and the story has quickly dropped off the charts. In my opinion, this isn’t enough. We need to make it clear to the pop science cable channels that if they are going to make an incredible claim, they’d better have some iron-clad evidence to back it up. Otherwise, the only channel that should air mock-umentaries like “The Lost Tomb of Jesus” should be the Sci-Fi Channel. Christians often fool themselves into believing that the bible is guiding them into all truth and that the truth of the bible is so clear that any unbiased person can determine its true meaning. The fact of the matter is even the clearest texts have multiple possible meanings. Take for example Our Lord’s words during the Last Supper when he said, “This is my Body.” The meaning of these words is clear. However, it doesn’t square with everyone theology. Indeed, only a few years after the Protestant Reformation a book was written by a German Catholic named CHRISTOPH RASPERGER that chronicled 200 under different Protestant interpretations of these four words. Certainly Jesus and His Apostles knew the correct interpretation and they certainly would have handed that interpretation down to the Church. Rasperger’s book illustrates that without a rule of Faith to interpret the Scripture, the meaning of the text, even the simplest texts, are up for grabs. Christoph Rasperger’s “200 Interpretations of the Words, ‘This is my Body'” is available on the web at http://www.angelfire.com/ms/seanie/eucharist/rasperger2.html. Unfortunately, it is available only in Latin. Perhaps someday a Latinist out there will put this short work into English. 1) Don’t Punish – The JW’s will tell your friend or loved one that if they believe “the truth” they will be persecuted. By showing your disapproval through punishment, you are only reinforcing the JW’s claims. Love is the key. Grow in love with God and your loved one. This will, in the end, be the best argument against the JW’s since they believe all non-JW’s will be destroyed by God. Instead, express your concern by saying that you’d like to learn more about the Watchtower organization and encourage them to study it with you. 2) Get Critical Info About The Watchtower Into Their Hands – This is a time critical response. As soon as possible, get information that shows the history and doctrinal gaffs of the Watchtower Bible and Tract Soceity. Show them that the Watchtower is unreliable, ahistorical and has ruined the lives of its followers. Once they are exposed to this information, they will not want anything to do with them. The problem is that the JW will try to indoctrinate your loved one not to believe or accept any negective info concerning their organization. You need to strike first before they do so that your loved one can have an informed decision as to whether they ought to continue their JW Bible-study. 3) Wide Their Circle of Friends – The JW’s will attempt to plug their new member into their small circle of friends. This also serves to make it more difficult for your loved one to leave because all their friends are JW’s and they will lose them if they come back to the Church. As a result, your loved one will want to believe what they are taught because they don’t want to leave their friends. Do what you can do make sure that non-JW friendships grow – especially with believers. 4) Beginning Studying About The WTBS – You need to start learning about the background of the Watchtower and its teachings. First, learn your own Faith well. You need to be well grounded in the truth before you fight error. Do this exclusively (at first) through Christian resources. There are plenty of good publications and web resources (See www.HandsOnApologetics.com/desktop1.htm). Don’t go straight to JW’s sources because they use special jargon that won’t make sense to a novice. 5) Pray – God’s grace is needed to dispell darkness. Pray for your own growth in Faith, Hope and Love and for your loved one. Trust in God and spring to action. Just wanted to say “thank you” to a great group of women at the Holy Rosary Homeschoolers meeting. I talked about “How to Wolf-proof your kids” and I had a great time teaching and answering questions. It is so good to meet women who are invested in their children and willing to step outside their confort zone to do a little evangelization. Keep up the great work and hopefuly we will meet again soon!